These photos were taken on April 14, 2017 at 2:51 PM. The location was in Largo, Maryland. The "Take It!" came from walking up to this Cherry tree and seeing these blooms at almost eye level. They were bursting with fullness and the sky was a wonderful blue for a background. The photos simply had to be taken. 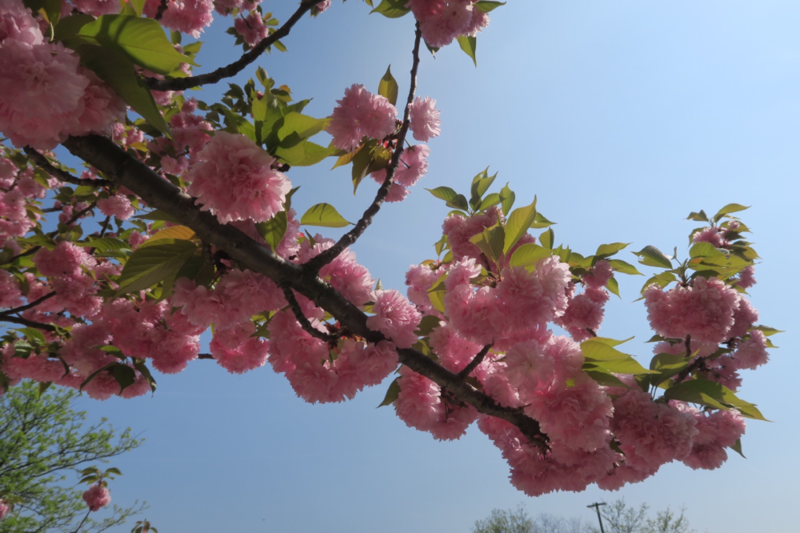 The After Take: The time honored celebrations surrounding these blossoms in the Washington DC area have ended, but for some reason the blossoms have not all opened at once, so the splendor of it has been prolonged. Engaging in nature as an appreciative observer can bring deeply satisfying returns. This is a year round joyous endeavor for me. Here is hoping where ever you are, there are blossoms and flowers of any sort to brighten your life. PS: This may sound odd, but here goes. There is an elegant hotel that I go to once a week, and if I need to, I use the public men's room, located just off the lobby. I have mentioned I am a hand washer, and in this bathroom they provide liquid hand soap from a dispenser. The scent of the hand soap is like freshly mowed lawn grass. It is almost inexplicable how refreshing the aroma from this is while engaging in the washing and rinsing on ones hands. The linger from this hand washing experience in my nose, is one of those not to be taken for granted type of things. This scent savoring is particularly keen in the middle of the winter when there is snow outside - mental summer throw back's are automatic. This is truly a beautiful set of photos. I was totally blown away by these and would love to use one as my desktop background. Oh I love these trees. 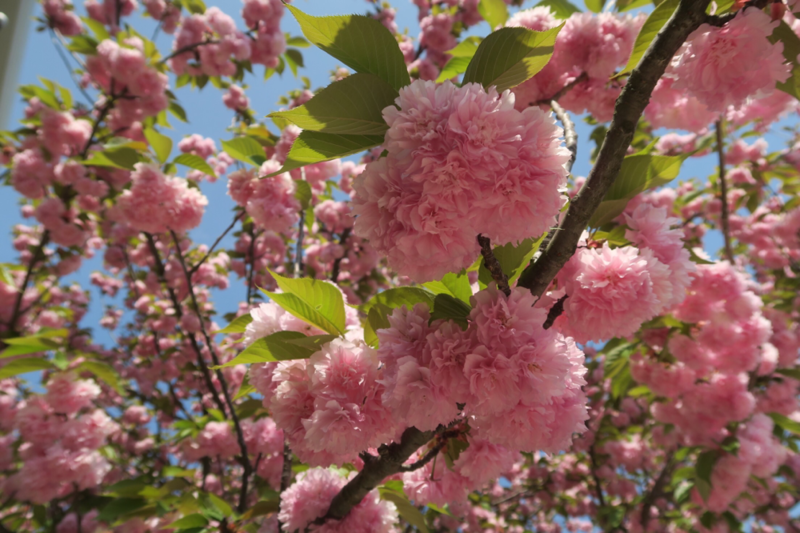 Our school visits long after they blossom but my husband and I have had the opportunity to attend the Cherry Blossom Festival and I loved every second of it. Are these the ones that only come around once a year for a week or so? My wife is a huge fan! We had a bonsai cherry blossom tree but it never bloomed. Wow how gorgeous!!!! Someday I would love to see one of these in person, they are just stunning!!! My wife loves this things, she's always going on about wanting to see them in person. I wish our school would send us when these blossom, unfortunately they prefer warmer weather.